It takes courage to become happy—courage to remain true to one’s convictions, courage not to be defeated by one’s weaknesses and negativity, courage to take swift action to help those who are suffering. Why is our revolution not being televised? 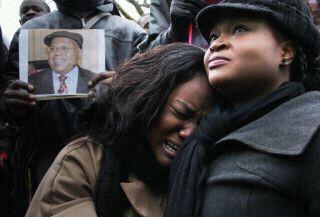 Congolese people were out in London for the 2nd time this week protesting against the elections in Congo right now. Elections which have been marred in alleged corruption, fraud & election violence. Joseph Kabila has announced himself president & the international community recognised the results which many people & international observers have said are not valid. How can this happen? Congolese people want to be heard, to create a platform where the politics of Congo can be discussed. Mainstream media has not been reporting on the elections in Congo or the protests that have been happening in Canada, Belgium, US, France, UK & South Africa! We need to change how Congo is reported & we need to start NOW! PLEASE SHARE THIS VIDEO & OTHERS ON THE CONGO ELECTIONS & PROTESTS TO RAISE AWARENESS OF THE ON GOING GENOCIDE THAT IS HAPPENING & THAT IS BEING IGNORED BY MAINSTREAM MEDIA! IT’S NOW THAT YOU SPEAK OF PEACE! STOP to distract us! We deliver, we are in no way imposing any views or opinions to our audience. Feel free to watch and construct your own viewpoints. It is difficult at times to know where you are going or even if you are walking the right path to get you there. The future is full of wonder and possibility. Some of it is set in stone and written in the stars beyond our control and understanding. While some elements are determined by the actions we take today. I have always been proud of my African heritage; proud of our strength, beauty, creativity and capacity to love. 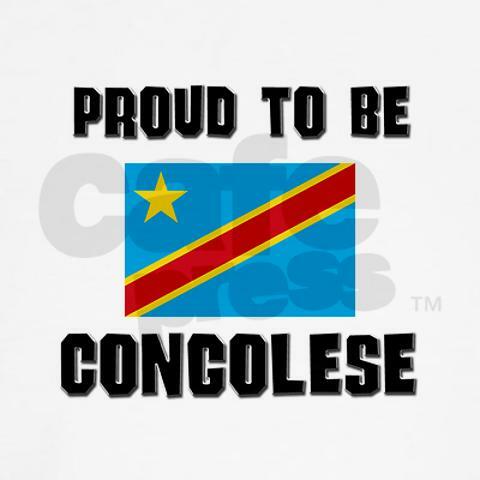 However, I have only recently found myself able to be proud of being Congolese. Don’t get me wrong, I have never been ashamed to let the world know where I am from. My nappy hair and blatantly African name have assured that there are no illusions as to my origins. No, my reservations came from a more dismal place. It stemmed from a ranged observation and realisation of the mentality of the Congolese people, especially those of us living in the industrialised nations. I felt betrayed by our elders and pitied our youths; betrayed by the importance placed on materialistic things such as designer clothes, wide screen TVs and flamboyant excess. Those who are accustomed to Congolese parties or other such social gatherings will now what I mean. This is not to say that people should not dress well and enjoy the fruits of their success. Life is for the living after all and should be lived to the fullest. But what I am touching on is a level of ignorance that has been allowed to prevail and even be celebrated within our culture. It is a shame when a father will save up his entire earnings for a month only to lavish it on the latest Versace suit. Then parade around like a spectacle with labels and price tags hanging out. He forgets that he is responsible for the wellbeing of his children at home and relies on benefits to feed them. He forgets his humble beginnings in Congo fighting for the opportunity to escape the poverty and restraints that a whole nation still suffers. Somehow many Congolese that have managed by Gods grace to find a way out have convinced themselves that they have made it. They are convinced that it is all rosy and smooth sailing. That from here on end it is a Prada and Gucci affaire. Familiarity has made us forget from whence we came, and neglect out responsibilities to those we have left behind. But lo and behold a new spirit that is sweeping our people, a spark of hope amidst the darkness and chaos of our times. It is a revolutionary rumble the likes of which would put a smile on the face of Lumumba himself. Our people are rallying together for a greater cause. They are tired of seeing their loved ones mercilessly killed, tired of witnessing our women raped and maimed, tired of our land being pulled from under our feet and our resources being exported to satisfy the needs of others while we starve. I salute the brave souls who are doing what they can when faced with the opposition of huge corporations and corrupt governments. I salute those who are freeing themselves from the mental chains that have held us down and kept us docile. 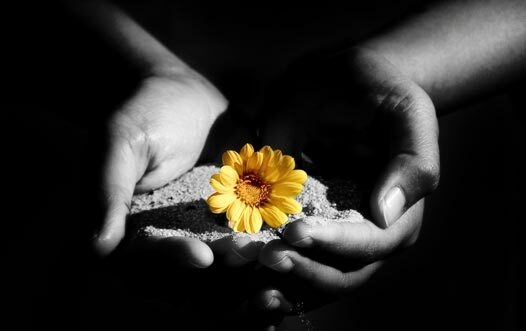 In truth, we have only just touched the surface, and it will become increasingly harder before it gets easier. As in every war there will be casualties, and yes it is a war. Let us not delight in fantasies of peaceful transition. Change, real change, never comes easy. I’m not talking about the type of change Obama ran his campaign on or the type promised by most politicians. I’m not even talking about reform with its concessions and piece-meals. No, what I speak of is revolution, emancipation and freedom. This is what we aspire for, what we need and what we will be fighting for. I commend those Congolese who have risen from despair putting down their Versace and picking up there banner to insure the future of our people. Truly I am proud to be among your ranks, those of you who wish to stare injustice in the face and say no more! Though we do not know what the future holds, we can say that we are affecting it today. As an African woman and a person of Congolese descent, raised by two traditional Congolese parents, sometimes I wonder if my detachment to my home country was natural. Part of the reason may be the circumstances regarding my geographical location as I grew up; whatever it is living abroad certainly does not make me feel any closer to my roots. The career choices my parents had made when I was a child afforded us as a family to be able to travel but also move frequently. I was not born in Congo, nor was I raised there either. I have been living abroad for most of my life, and I am left with bits and pieces of scattered memories in the short time that I did spend in Congo. The move my family made abroad was so that we could have better opportunities in education and a better quality of life that is non-existent in Congo. Almost any Congolese person that was born and raised in Congo, that I have spoken to has had a nostalgic reaction to the country, even some of my own friends that have gone back to visit after decades living abroad, always express the excitement of going back to visit once again. As I think about these reactions I am puzzled, because how can people love a country that is corrupt, has no sense of human rights, people being killed and where women are raped as a way to paralyze the population. Then it hits me that this country was not always in the state it’s in today. We were once one of the power houses in the continent of Africa; we once had a flourishing economy, a rich eco system and beautiful rainforests, and an overall “Joie de vivre” as the French would put it. Fast forward fifty years later we are considered a third world country, more than six million people have died in a so called civil war (which is actually a war on minerals) and the whole world is watching and doing nothing. The Democratic Republic of Congo recently had a much anticipated presidential election this month. Our second attempt to a democratic election was riddled with fraud, suspicious irregularities, and nobody bothered to investigate or pursue the culprits that were responsible. When they announced that the incumbent Joseph Kabila was the winner my heart broke, I burst out in tears in the middle of work because I knew this meant another five years of death, destruction, and chaos. For a moment my hope was ripped from me because the second runner up Etienne Tshisekedi was a man the people believed in including me. I was involved in his campaign and his party “Union for Democracy and Social Progress”, hours of meetings and fundraising events flashed before my eyes. Although I personally have no real ties to the country except my lineage, it is important to remember that it doesn’t mean one should care any less. There are hundreds and thousands of men and women and youth in the same position as I am, and for once I saw Congolese people from all walks of life, young and old take a stand to express that ENOUGH IS ENOUGH! No longer will we be a nation that is passive about the future of our country; no longer will we continue to be mentally enslaved with the mindset that colonialism and imperialism has infiltrated in our human spirit. I found that my detachment was only natural because of my ignorance to the history of the land of my forefathers. My will to learn about who I was as a person, was born when I was 17 years old in my Black Literature class and I haven’t looked back since.